The Group “L’univers de l’Emballage”, created in the early 90s from a regional SME partnership, is No. 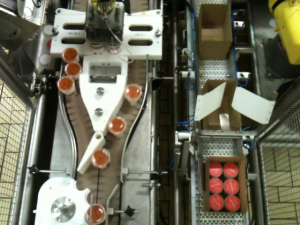 1 in France for the distribution of products and packaging systems for the fruit and vegetable market. 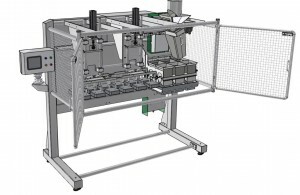 With over 250 employees at 22 locations in France and a turnover close to € 90 millions, the group offers a wide range of packaging machines for food or for the industrial product transportation: packaging, shrink-wrapping, folding machines, labeling lines … The site of St Sylvain d’Anjou in western France, already equipped with Trace Software software (Trace Elec Pro, 2D standalone electrical CAD tool) since 2003 has opted in 2011 for elecworks™ with 2 licenses used by the automation engineers. As a custom-packaging specialist, the group controls the entire packaging chain, from preparation to product shipping and has a fleet of several thousand machines for which it provides after sales service. The engineering department designs and maintains specific machines or complete lines. The equipment department based at St Sylvain d’Anjou has 14 people including 4 designers, a cabler, an installer, 2 field technicians, a workshop and customer service manager and 2 automation engineers. elecworks™ licenses are used by control engineers to carry out electrical schematics, prepare bill of materials and component orders, program machines and ensure their commissioning. elecworks™- designed special machines are filling systems on blister with receipt of pre-weighed doses for container filling. The team has customized templates, terminal management and BOM. The projects revolve usually around forty folios. They do not use the cable length feature and the cable core assignment. They use internally referenced material for simplicity and quicker customer service reasons. The basis of their electrical panels is virtually identical on all their projects. They keep it and update it for new projects. If there is no integration of the tool with the internal data management system, the equipment BOM export is used to exchange with other departments.